Leyla Torres of origamispirit.com just published a blog post on the Mondrian Cube, a creation of Dave Mitchell. Mondrian Cube, a creation of Dave Mitchell. Origami folding by Leyla Torres of origamispirit.com. Leyla picked up the folding technique from Michael Naughton at the Mount Holyoke College origami meeting hosted by Charlene Morrow. Dave's Mondrian Cube bring to mind the limited edition Mondrian tissue boxes created by Kleenex in 2013. 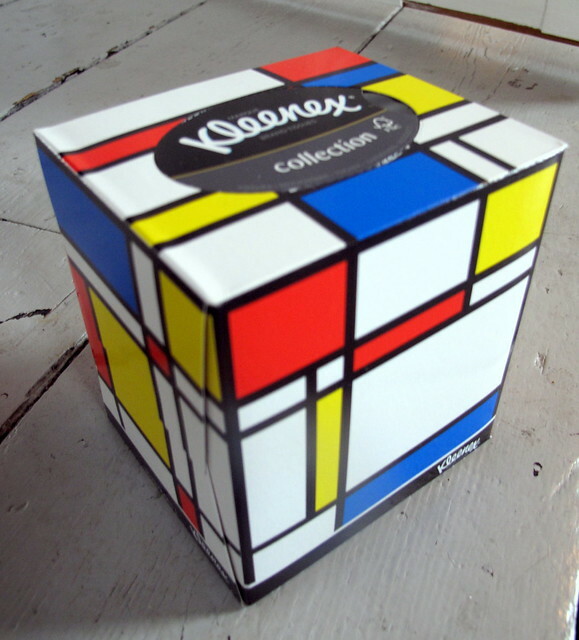 Mondrian tissue box created by Kleenex in 2013.